Escape your world and enter mine~ people and places you'll never forget! Are you a book reviewer or a blogger? Or do you just want to be able to read a book for free? Six Months is available from BookSprout for review! Head on over! 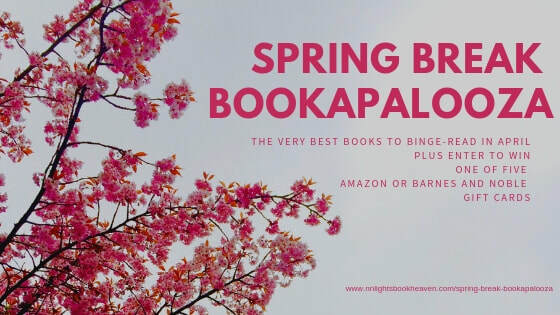 N. N. Light’s Book Heaven’s Spring into Freebies Giveaway. Spring has arrived and N. N. Light’s got spring fever. It could be all the flowers in bloom or it could be the birds singing in the trees. 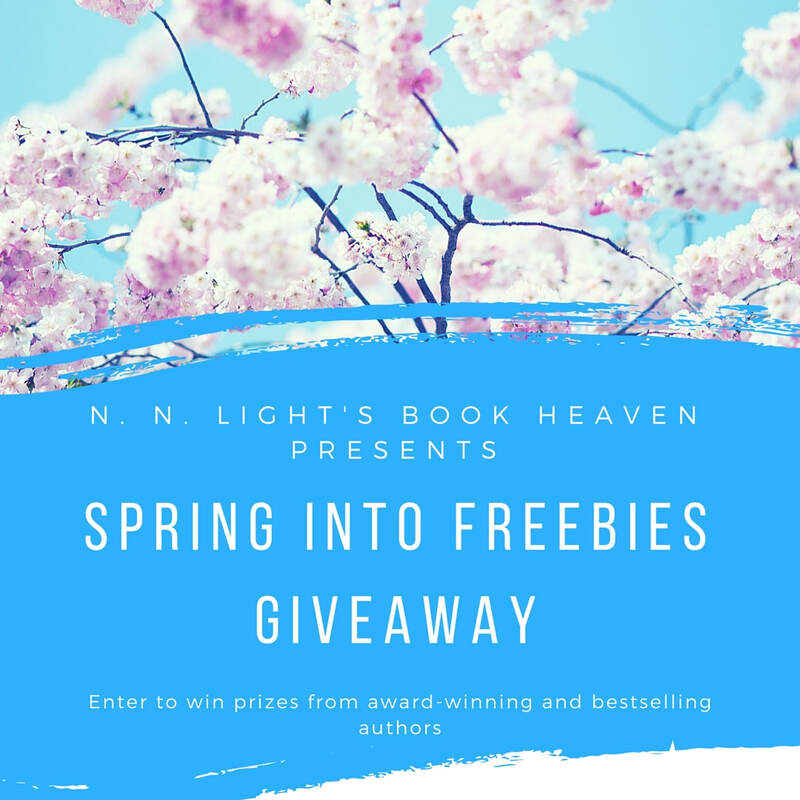 Hurry and hop like a bunny over to N. N. Light’s Book Heaven and enter to win some amazing prizes including a few new release books by bestselling authors in paperback. In fact, I’m one of the authors participating and you could win “enter your prize” . The list is long and personally, I’d love to win myself but alas, I can’t. So, I’ll just live vicariously through the lucky winners. I’m thrilled to be a part of this event. My book, Six Months, will be featured on April 7. I even talk about where I’d go on spring break if money were no option. You won’t want to miss it. 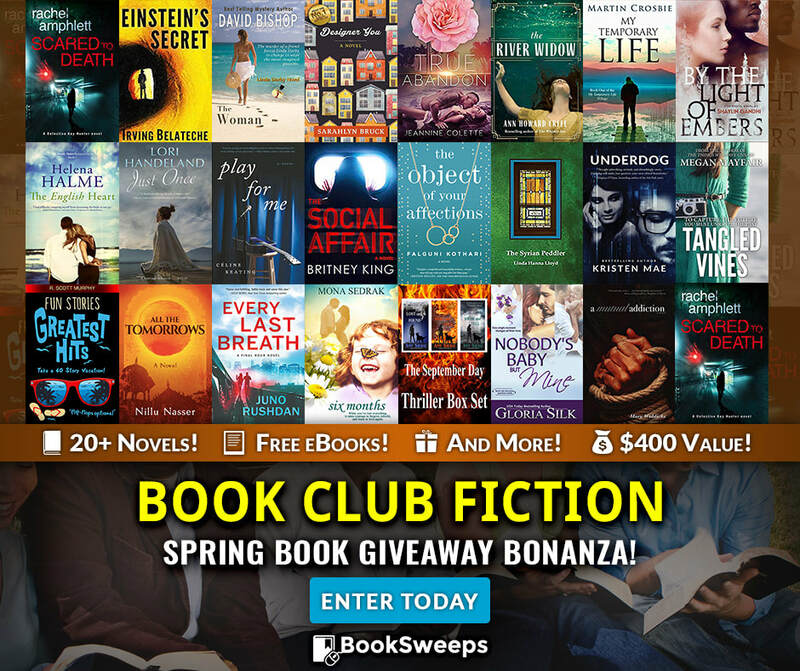 I’ve teamed up with 20+ fantastic authors to give away a huge collection of Book Club Fiction reads to 2 lucky winners, PLUS a brand new eReader to the Grand Prize winner! You can win my novel Six Months, plus books from authors like Helena Halme, Lori Handeland, Rachel Amphlett, and more. 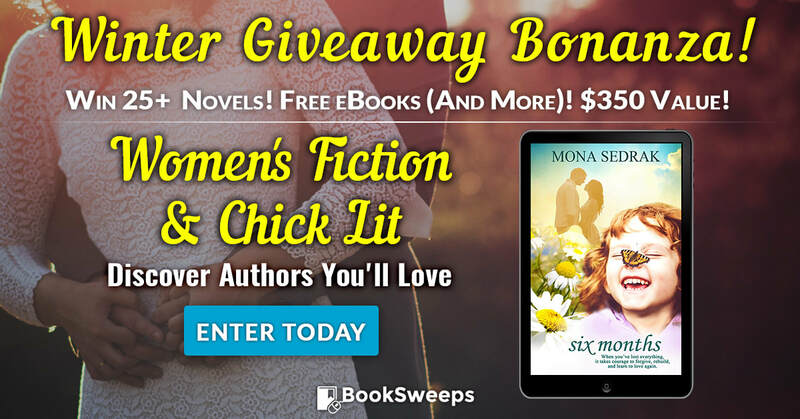 I’ve teamed up with 25+ fantastic authors to give away a huge collection of Women’s Fiction & Chick Lit novels to 2 lucky winners, PLUS a brand new eReader to the Grand Prize winner! 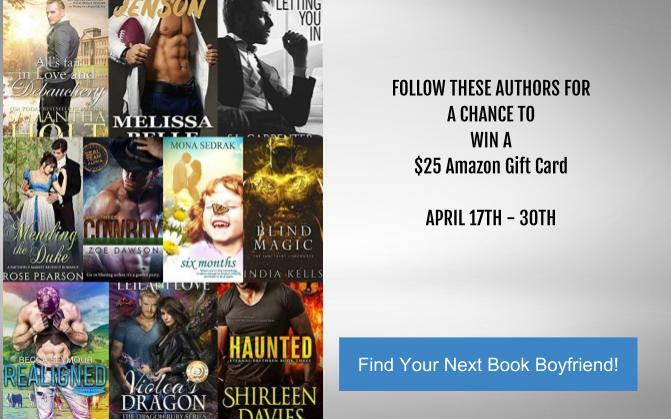 You can win my novel NAME OF NOVEL, plus books from authors like Suzanne Woods Fisher, Mia Kayla, Marie Bostwick, and more. Grand Prize Gift Basket Overflowing with Goodies! Eight gift cards, 22 paperback books, a T-shirt, three mugs, six pieces of jewelry, chocolate from Ireland, a teacup and saucer, book tote, romance calendar, bath bomb, swag galore, and loads of other goodies…that’s what one lucky winner will be awarded as a grand prize in the Romance Gift Basket Giveaway. Enter now for your chance to win! Plus, fill up your shopping basket with page-turning reads at our all romance genres book fair. Every book, 2.99 or less, many FREE. We’ve got a bonus giveaway, too! It's finally February! It really seemed like January would never end. How did you get through the polar vortex? It's unreal how cold it got!! Thankfully, the weather seems to be on the warmer side, and if you believe in Punxsutawney Phil, spring is on the way!! For those of you just joining me from a recent giveaway, welcome to my world! I am a college administrator and professor by day, and a novelist the rest of the time. If you haven't picked up my first book Six Months, it's available for review from NetGalley. But only for a limited time! It's also on sale right now from Amazon for the first time ever! Since February is the month of love, I wanted to let you know about some giveaways I'm a part of this month. I'm also in deep edits in my next book Gravity so lots of fun stuff coming your way!! I’m thrilled to be a part of this event. You won’t want to miss it. Having a hard time choosing what to read in 2019? While there’s so many wonderful authors and books available, it's imperative to have a dependable and responsible place that can help you choose what to read. It's even better when you get a chance to win free books! 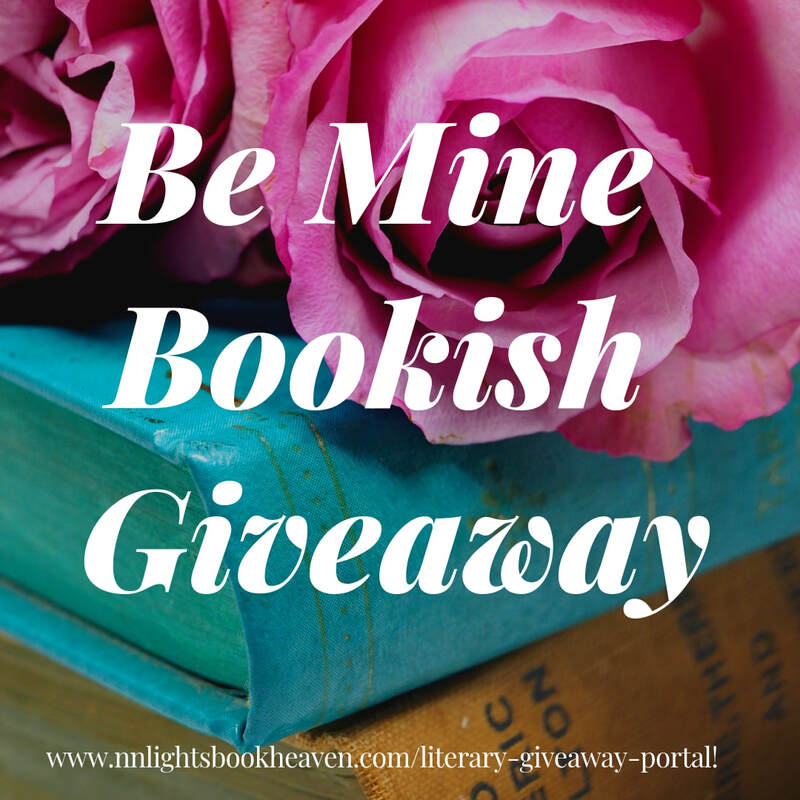 Every month, you can win free books from multiple authors hosted by N. N. Light's Book Heaven. Numerous authors are offering their books in this collaborative group entitled Literary Giveaway Portal. The best part is they’re all screened and approved by N. N. Light, a top reviewer. Not only do I have two giveaways going on all month, but myself and three other authors will be doing a Valentine's Day giveaway, so make sure to follow my Facebook page! I was also interviewed by AllAuthor, you can read the interview here. Follow me at any of the links below to stay up to date on what's going on. What are some memories from your childhood that stand out most to you? Where did you grow up?I was born in Cairo, Egypt and immigrated to the Boston area when I was about 5 ½ years old. The most significant childhood memory I have is when I discovered escapism through reading. I was thirteen, and we moved from Boston to Dallas, leaving all my friends and cousins behind. There was a heatwave, and my siblings and I were stuck inside the house while my parents worked. I fell into a deep depression. We had very little money, and my mother one day stopped at a garage sale and bought a huge box of books. She put it in front of me that night and said, “read!” I ignored the box for a couple of days, but then curiosity got the best of me, and I rummaged through it. I began to read and never stopped. Reading saved my life. I was no longer trapped in a house without anything to do. Through my books, I travelled the world, learned all kinds of new skills, and made a tremendous amount of new and exciting friends. Which is your favorite place to visit in Cincinnati, Ohio? Has your husband read any of your books?My favorite place in Cincinnati is where ever my grand-daughter is. We moved to Ohio a year ago because my daughter was expecting our first grand-child. I live five minutes from my daughter and frequently babysit. I am always with baby Juliette and am happy to be where-ever she is. I expect I will be visiting many kid-friendly attractions in the future. Whether staring up at the stars or lounging on a soft, furry rug in front of a hearth, nothing is more romantic than snuggle-time beside a roaring fire. Join us for a celebratory giveaway of the season. 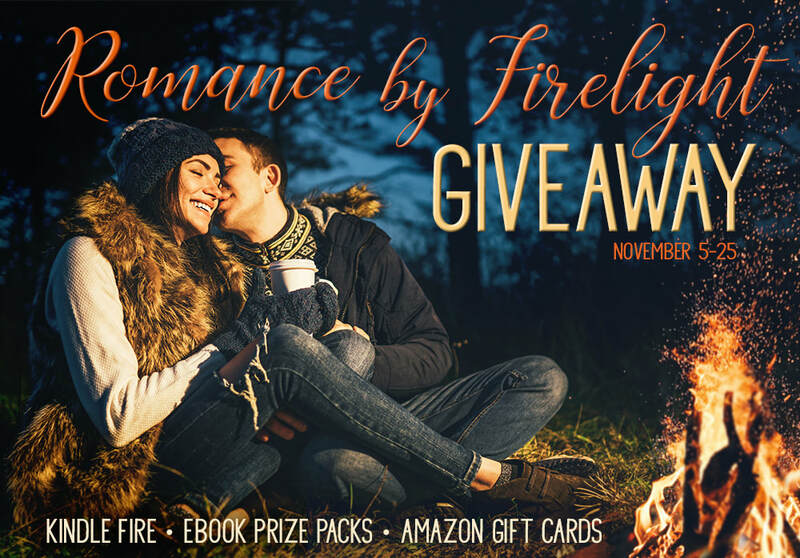 You could win a Kindle Fire, ebook prize pack, or Amazon gift card! Enjoy every minute of fall’s romantic days and nights with our page full of discount ebooks. Over 40 titles, every one of them 2.99 or less, plus don’t miss out on the FREE Shortie Download and bonus giveaway! Thank you for a fantastic release of Six Months!!! Thank you to everyone who has read and reviewed Six Months. If you haven't read it yet, grab it here! Once your review is posted just send it to me and you could win a signed paperback and a calendar from The Wild Rose Press! Contest closes November 17th. There are some people I would love to personally thank in helping spread the word of Six Months. And last, but certainly not least is Angela Hayes. She has a great blog called Thankful Author. She hosts a different author each day where we get to say what we are the most thankful for. You can ready what I'm most thankful for here! Thankful Author. ​Click here to read some amazing reviews from Readers' Favorite. Wild Women Reviews gave Six Months a 7 star review!! You can read it here!! ​Chick Lit Cafe gave Six Months a fantastic 5 star review as well! Read it here. ​Six Months is also a semi finalist for The CHATELAINE Awards for Romantic and Women’s Fiction Novels. This is such a huge honor for me! I am so incredibly thankful for each one of my friends, family and of course my readers. Without you I wouldn't be able to do what I love most, write! I am nearly finished with my next novel Gravity. It is a contemporary romance about a Middle-Eastern woman who is shunned by her family after she becomes pregnant out of wedlock. She loses everything and everyone she knows and has to start her life, with a child, on her own. She must learn who she is and must learn to forgive herself for her mistakes as well as her family. When she does find forgiveness, she learns what unconditional love is and finds the love of her life. Together, their blended family mirrors many American families and their differences and life experiences make them stronger. I cannot wait for you to read it! For sneak peeks of what I'm working on and exclusive giveaways, please join me in Mona's Readers Group. I would love to get to know you better! If you join before November 17th I will be giving away another paperback! If I don't speak to you before, I hope you have a fantastic Thanksgiving! Follow me for updates and sneak peeks!! Mona Sedrak lives in Cincinnati, Ohio and works as a university administrator and professor. Although she has co-published two academic books, she is now writing mainstream fiction and women's fiction. She is an avid reader and is probably Audible's best customer. Writing and reading fiction is her escape from reality. Mona lives with her husband of 32 years, a geriatric maltipoo, and an Amazon Parrot named Pretzel. She binge watches too many shows to count, and she loves fine brandy.